« By faith alone… or not? Now… 1 Corinthians 13 isn’t a song, it is very lyrical, very poetic—surely the most famous poem about love in ancient literature, and one of the two or three most well-known passages of scripture alongside Psalm 23 and the Lord’s Prayer. And like a mondegreen, we have a problem hearing it correctly. 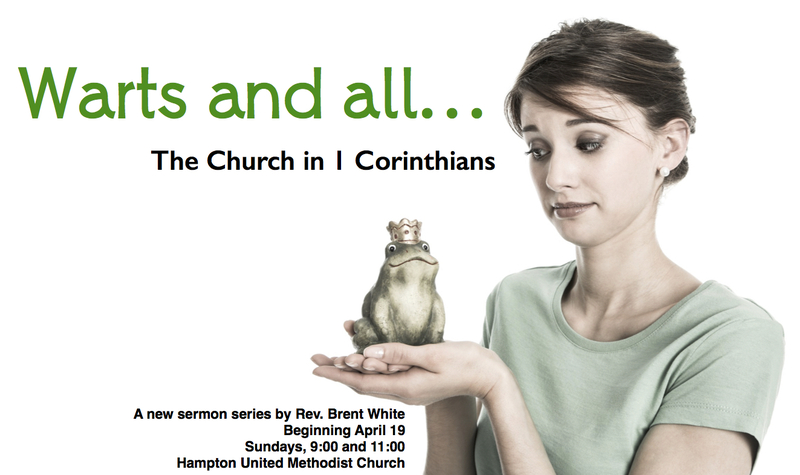 We often treat 1 Corinthians 13 as if there aren’t twelve chapters preceding it and three chapters following it. My point is, Paul did not say, “Wouldn’t it be great to write a sweet poem about love right here in the middle of this letter. No, he’s writing these beautiful, powerful words about love to address the main problem that the Corinthian church was having: they were failing to love one another! Remember what we’ve talked about so far… One faction in the church was better than this other faction because they followed this particular church leader, or these particular spiritual practices. Another faction in the church—the rich people—thought they were morally superior to the poor people, so they mistreated them, even during the Lord’s Supper. Finally, in chapter 12, some church people thought they were better and holier and morally superior because they had what they perceived to be more extravagant spiritual gifts—gifts of prophecy, for instance, which isn’t necessarily predicting the future—as we often think of it—it’s usually more like sharing a special word that you received directly from God. They were really proud of having that gift. Others were proud because they had gifts of spiritual insight that Paul refers to here as the gift of “knowledge.” Some were proud because they had the gift of physical healing. Others were proud because they had the gift of speaking in tongues—which means they were able to speak in languages only understood by the angels themselves. Do you know about speaking in tongues? It’s controversial, even today. There are some Christians in the world who place a great deal of emphasis on speaking in tongues—perhaps too much. Meanwhile there are other Christians today who say, “No, no… that spiritual gift of speaking in tongues, along with other extravagant gifts, ceased to exist after the first century or so. I have a friend in ministry—a Methodist minister—who says he often speaks in tongues when he prays. I’ve known others who do, and I’ve read many Christian authors for whom I have great respect and who are very credible to me, who also say they speak in tongues. And maybe some of you do as well. My point is, while I don’t have that particular gift, but I have no reason to doubt these Christians when they say they do. Besides, I have had a handful of experiences in my life in which I’ve felt very much filled with the Spirit. July 1985, for example, I was in Toccoa, Georgia, at a youth camp. I had only been a Christian for a little more than a year at that point. And I was lying in my bunk bed after the evening meeting of singing, praying, testifying, and preaching—and something supernatural was happening to me. I felt God’s love surrounding me—it’s hard to describe. It was wave after wave of this feeling of warmth. And I remember feeling as if I wanted to hug everyone at that camp and tell everyone how much I loved them. I was in my bunk bed literally trembling. It wasn’t speaking in tongues, but the Holy Spirit was doing something. I felt so close to God! It felt great. It was intense. And I wish I could just capture that experience and put it in a bottle—and pull it off the shelf whenever I’m feeling depressed or discouraged and need a little spiritual boost. But the Lord in his wisdom hasn’t given me that experience again. But that’s O.K., because, as Paul makes clear in verses 1 to 3, there’s a gift that’s far more important any any amazing spiritual experience, any extravagant spiritual gift, or any miracle—and God gives it to everyone who’ll receive it. And that gift is love. And Paul also wants us to know something very shocking to our modern sensibilities: Love—by which I mean the truest, fullest expression of love, the love that Jesus himself demonstrated, the love that Paul describes here—isn’t mostly about feelings. Because being a faithful Christian—which means learning to love with Christ-like love and having your heart transformed by this love—is much more about what you do or don’t do. It’s much more about actions rather than feelings. You can choose to treat someone, for example, with kindness regardless how you feel. You can choose not to be rude to others. You can choose not to seek your own way. You can choose not to rejoice in wrongdoing. You can choose not to gossip about others. You can choose to endure hardship and persevere. Now, some of Paul’s words in verses 4 through 7 have more to do with feelings: It’s hard to be patient, for example, if you don’t feel patient. It’s hard avoid being irritable or resentful when you feel anger and resentment. But allow me to share a personal word here. As my family well knows, I tend to have anger issues. I tend to be irritable. I tend to be short-tempered. When my family was at Disney World recently, they bought me a stuffed toy of that red guy, Anger, from the movie Inside Out. Because too often, I’m like that guy! Seriously, when our bed is made, you can see that red guy on my side of the bed as a reminder of this problem that I have. Now, I could throw up my hands and say, “I can’t help it. I have no control over these feelings of anger.” But I know that’s not true! I know that there are things I can choose to do every day to help me avoid feeling angry. Getting a good night’s sleep, for one. That’s a choice. Spending time in prayer every day. Taking my problems, my resentments, my bitterness to God in prayer every day and asking for his help in dealing with it—that’s a choice. “Heavenly Father, I find myself feeling angry about this situation. What’s behind that? Why does this person or this situation bring this out of me?” Prayer is a choice. Confession of sin is also a choice. One of the best things I can do with my anger is to confess it as a sin—to realize that this is an unacceptable behavior that needs to change; that it’s unbecoming of me as a follower of Jesus to have this anger. But having the sin of anger is kind of like what Martin Luther said about the sin of lust: “While it’s true you can’t stop birds from flying overhead, but you can prevent them from building a nest in your hair.” It’s one thing to have passing feelings and impulses. It’s another to nurture those feelings, to dwell on these feelings, to add fuel to the fire of these feelings. So let’s say you’re angry at someone. You could nurture the feeling of anger by finding some friends and telling them all about how mean and terrible and insensitive this person is, and how badly they hurt you. And they’ll sympathize with you and stir up more anger. Or you could keep your opinion to yourself, take it to God in prayer, and, if you need to, go directly to the person who made you angry and talk about it. That’s harder to do… but that’s what true love demands. And that’s a choice, not a feeling! I was re-reading C.S. 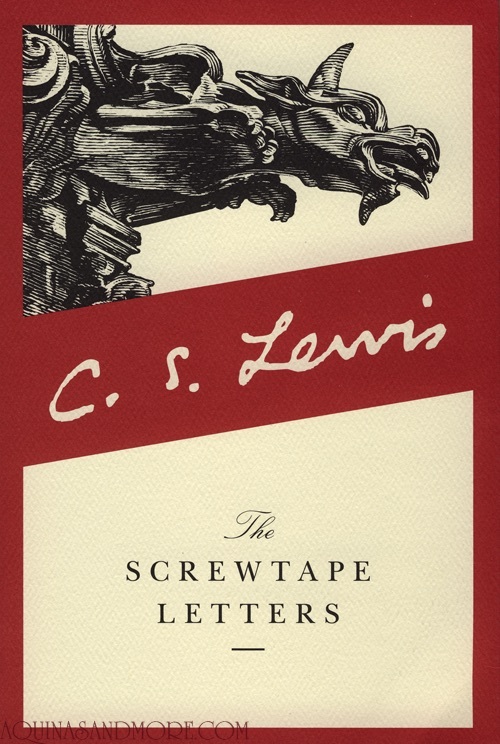 Lewis’s amazing book The Screwtape Letters last week in preparation for this sermon. If you haven’t read it, you should, because it’s filled with insights about the challenges of living a Christian life. In the book, Uncle Screwtape is a very experienced demon in hell who has an ongoing correspondence with his demon nephew Wormwood—he’s giving Wormwood advice on how to get his human subject, a man who’s recently become a Christian, to give up on his faith, so that when he dies he’ll wind up in hell. In the world of the book, demons are “assigned” human beings, and their job is to lure them away from God, away from Christian faith, so that they’ll end up in hell. I happen to think that the demonic realm functions something like this! In one letter to his nephew, Screwtape talks to Wormwood about this man’s prayer life. Prayer is really bad for Satan and his demons. Make no mistake. But even after the human starts praying, hope is not lost. Screwtape says when the man is praying, you want to do whatever you can to turn his attention away from God and back toward himself. So if the man is praying to become a more loving person, let him focus instead on trying to manufacture feelings of love within himself. If he’s praying for courage, let him focus on trying to feel brave. When he prays for forgiveness, let him focus on trying to feel forgiven. The point is, just as loving other people isn’t mostly about feelings, loving God also isn’t mostly about feelings. Feelings may come and go, but don’t depend on them. Don’t trust in them. Don’t lean on them. Because you might say, “I’m not getting anything out of prayer,” by which you mean, “I’m not feeling anything,” so you get discouraged and eventually stop praying altogether. But again, loving God is not about feelings; it’s about actions. Every time you get on your knees or go to your prayer closet, or pick up your Bible, our Enemy, the devil, is defeated. It doesn’t matter how we feel about it. I suspect we’ll have more treasure in heaven for those times when we don’t feel like praying, or we don’t feel like reading the Bible, or we don’t feel like going to church and worshiping, or we don’t feel like tithing, or we don’t feel like serving the Lord… yet we do it anyway. 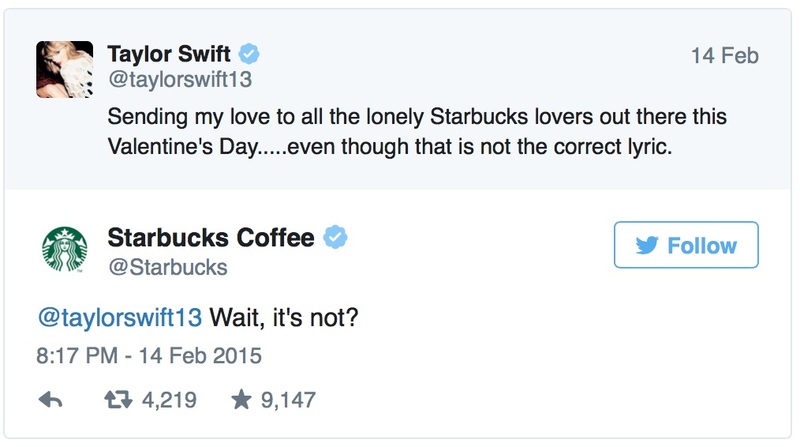 That’s love! Doing something that we know is the right thing to do even when we don’t feel like it! Those of you who are married know that you have dry spells in your marriage—when you’re just not feeling the love. You don’t have the option, during those times, simply to ignore your spouse. You talk to them. You care for them. You provide for them. Even when you’re not feeling it. That’s love! What would it be like if we treated our spouse the way we treat God when we’re not feeling the love? Would we go days without talking to them or spending time with them. No! Yet I fear we often do that with God. In my 2005 Honda Accord, I have a light on my dashboard that lights up and stays lit about every fourth or fifth trip in my car. It’s the “airbag light.” It indicates that there is some problem related to my airbag—it’s probably, based on what I’ve read, a faulty sensor in the passenger seat of the car. The point is, I’ve decided to ignore that light instead of paying a couple hundred dollars to get it fixed. Now, there are other lights and gauges I don’t ignore—I don’t ignore the gas gauge, the oil gauge, the tachometer, the temperature gauge. If the “Check engine” light comes on, I assume I’m headed for an expensive repair so I don’t ignore that. But whether that airbag light is on or off, it doesn’t really have anything to do with the “health” of my automobile or my safety. Brothers and sisters, as difficult as it may be, when it comes to love—true love—our feelings are one of those lights on the dashboard that we should usually ignore. I’m not saying they don’t matter at all, but they’re not nearly what’s most important. But they’re not nothing… if you want to nurture feelings of love, there’s no better way that I know of than to look at verses 4 through 7—which describe what love is and isn’t, and what love does and doesn’t do—and wherever you see the word “love,” insert the word “Jesus.” Jesus, for example, is patient and kind… Wasn’t he patient and kind with his disciples when they did the dozens of dumb things we see them doing throughout the gospels? Of course! 1. C.S. Lewis, “The Screwtape Letters” in The Complete C.S. Lewis Signature Classics (New York: HarperOne, 2002), 195. This entry was posted on	August 10, 2015 at 5:49 pm	and is filed under Uncategorized. I like your recommendation to substitute Jesus for “Love” in Paul’s great poem. I believe that the Love Paul describes is actually the person, Jesus. So, the good news is that we don’t have to practice or try to develop the attributes Paul describes. It’s incarnational. It’s Jesus in me. As Christ is formed in us, we become more and more like him, and His love that’s in us because He is in us is more and more able to flow through us. Brent, a very good sermon. Too good for me to want to spoil it at all. Of course, that generally doesn’t stop me from making one little caveat! 🙂 It’s as to speaking in tongues. I accept your religious experience, of course. And I don’t necessarily doubt the “sincerity” of some of those who “speak in tongues.” After all, I did so myself some of the time many years back. However, I eventually stopped because I concluded I was doing so because people I was with at the time said this was something Christians should be doing. In other words, I really thought it was “something from God” at the time, but ultimately concluded it was not. So, thereafter I considered the issue of the continuation of the “sign gifts” as they are referred to, concluding they were gifts given to the apostles and early church as proof of the reliability of the message until the completion of scripture. “Tongues, then, are a sign, not for believers, but for unbelievers…..” 1 Corinthians 14:22a (NIV). “How is it that each of us hears them in his own native language?” “Amazed and perplexed, they asked one another, ‘What does this mean? '” Acts 2:8 & 12 (NIV). “How shall we escape, if we neglect so great salvation, which at the first began to be spoken by the Lord, and was CONFIRMED unto us by them that heard him; God also bearing witness, both with signs and wonders, and with divers miracles…?” Hebrews 2:3-4a (KJV). “Rabbi, we know you are a teacher who has come from God, for no one could perform the miraculous signs you are doing if God were not with him.” John 3:2b (NIV). “[W]hether there be prophecies, they shall fail; whether there by tongues, they shall cease….” 1 Corinthians 13:8a (KJV). What difference does it make? I think many people are pulled in by the “excitement” and diverted from real “theology.” (A lady I believe I helped come to Christ decades ago, after moving from the Baptist church we were in to a charismatic church, called me and said, “Oh Tom, it’s so exciting!”) The focus in many charismatic churches is not on basic biblical teachings. Besides that, whether I know of particular problems with it or not, I don’t believe we should be doing things in God’s name which are really not from God. As John MacArthur classified such things–Strange Fire.